The control, camera and communications electronics inside today’s commercial drones have to pack in an ambitious amount of functionality while keeping size, weight and power as low as possible. There aren’t many areas of embedded systems these days that are as dynamic and fast-growing as commercial drones. Drones represent a vivid example of a technology that wouldn’t have been possible if not for the ever-increasing levels of chip integration driven by Moore’s law. Drones are riding that wave, enabling an amazing rate of change so that 4k HD video capture, image stabilization, new levels of autonomy and even highly integrated supercomputing is now possible on drones. The Intel Aero Ready to Fly Drone is a pre-assembled quadcopter built for professional drone application developers. 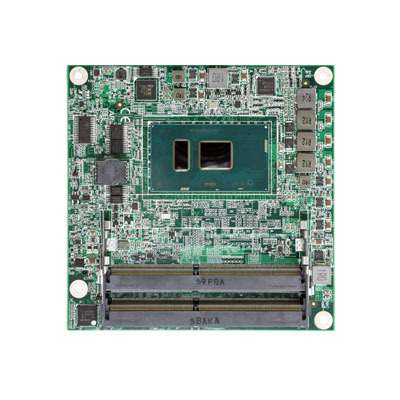 The platform features a board running an Intel 2.56 GHz quad-core Intel Atom x7-Z8750 processor. To get a sense of the rapid growth of drone use, just consider drones from the point of view of the Federal Aviation Administration (FAA). Integrating commercial drones into the FAA’s mission has been a huge effort over the past couple years. To paraphrase Michael P. Huerta, Administrator of the FAA, there are over 320,000 registered manned aircraft today and it took 100 years to reach that number. In contrast, only nine months after the FAA put its drone registration process in place, there were more than 550,000 registered users—comprised of both hobbyists and commercial drone users. Today’s commercial/civilian drone technologies are advancing faster than most people could have imagined only a couple years ago. And drone designs will continue to reap the benefits of advances in processor / chip technologies, sensor innovations and tools that make them easier to create. Feeding those needs, chip and board vendors of all sizes have been rolling out solutions to help drone system developers create new drone products and get to market quickly. 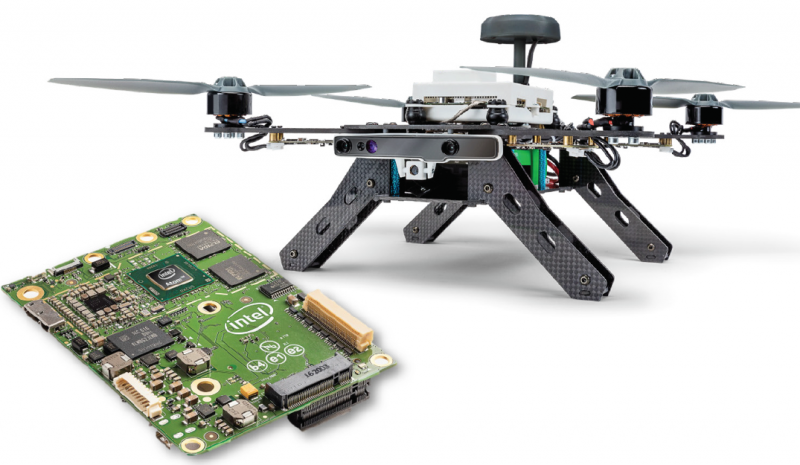 Among these vendors are large players like Intel and Qualcomm–along with a whole host of specialized technology suppliers offering video ICs, single-chip cameras and a variety of sensor solutions all aimed at drone platforms. …. 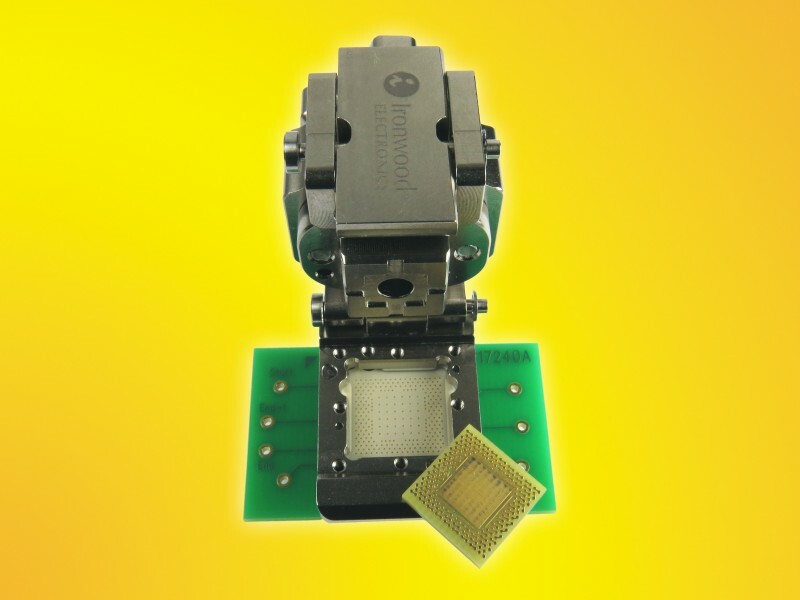 Ironwood Electronics has introduced a new performance QFN socket for 0.65mm pitch devices. 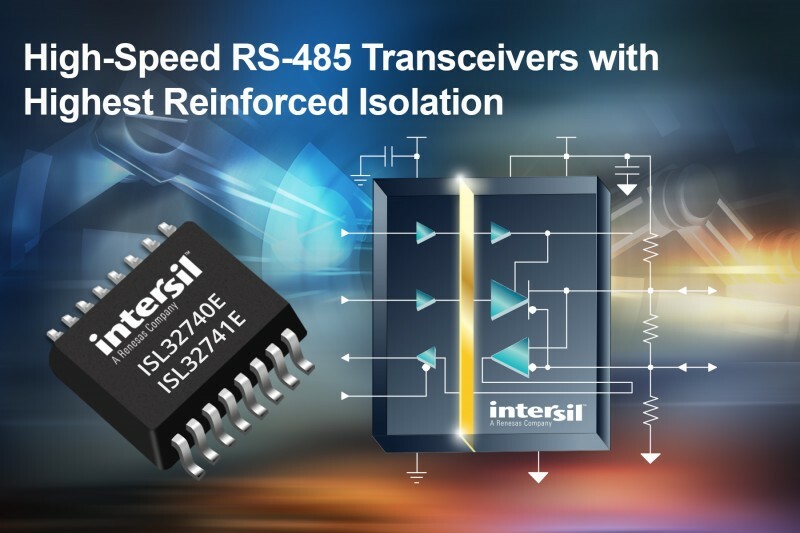 The SS-QFN204A-01 socket, designed for a 12mm package size, operates at bandwidths up to 6.5 GHz with less than 1dB of insertion loss. Designed for up to 500,000 actuation cycles, the socket is able to dissipate up to 4 watts over a temperature range of -40 C to +150 C without the need for an additional heat sink. This is all accomplished within a 2.5mm larger border. It accommodates a chip with 204 pins plus ground pad in the center of the QFN is contacted with additional spring pins for highest bandwidth interface. The SS-QFN204A-01 socket utilizes high endurance spring pins, which allow for product use in multiple applications including burn-in, production test, and prototype development. In addition to its wide temperature range and high endurance the pin operates with an inductance of 1.3 nH and with a capacitance to ground of 0.53 pF. Current carrying capacity is 1.5 amps per pin. Normal force for actuation is only 16gms per pin with a typical contact resistance of 82 mΩ. Pricing for the SS-QFN204A-01 socket is $1,905 at quantity 1 with reduced pricing available depending on quantity required. U‑blox featured a live Narrowband IoT (NB‑IoT or LTE Cat NB1) demo at MWC Americas in San Francisco, featuring SARA‑R410M‑02B, a configurable LTE Cat M1/NB1 multi‑mode module with worldwide coverage. NB‑IoT is a highly efficient type of spectrum and the globally preferred standard due to benefits like cost savings, extended battery life and the ability to support a large number of connected devices. U‑blox has partnered with Bluvision, a provider of highly scalable end‑to‑end IoT platforms, to display Cold Chain Temperature Monitoring and Condition Monitoring using Bluvision’s BluCell. BluCell, a narrowband gateway that uses Bluetooth to wirelessly monitor hundreds of beacons, each measuring temperature, vibration analysis, door openings, location and movement. 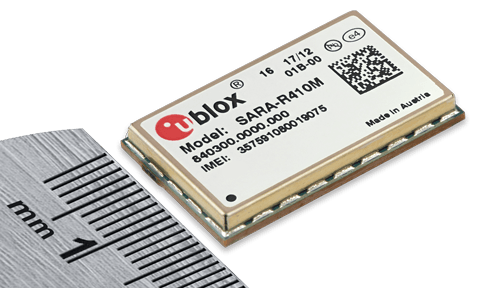 BluCell is connected via the U‑blox SARA‑R410M‑02B to T‑Mobile’s network, expected to be the first NB‑IoT network in North America. The module is expected to be certified and available in early 2018 for T‑Mobile’s NB‑IoT network, which is expected to launch nationwide in mid‑2018. For the demo, Bluvision’s BEEKs beacons with sensors for temperature, vibration, magnetic fields and ambient light were attached to a cooler. The beacons transmited telemetry data, which includes real‑time and historical temperature log for the cooler and the vibration data from the compressor motor in the cooler, to the Bluzone cloud solution. SARA‑R410M is a configurable LTE Cat M1/NB1 multi‑mode module with worldwide coverage. Measuring just 16 x 26 mm, it offers both LTE Cat M1 and Cat NB1 in a single hardware package, as well as software‑based configurability for all deployed global bands. 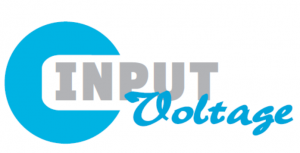 It provides enormous efficiencies in logistics and SKU management. Customers can easily respond to changes in business or market conditions, since supported frequencies and operator configuration decisions can now be made at “zero hour” or even later in the field. Infineon has made a strategic minority investment in XMOS Limited, a Bristol based fabless semiconductor company that provides voice processors for IoT devices. Infineon leads the recent $15 million Series-E funding round. According to Infineon, cars, homes, industrial plants and consumer devices are rapidly becoming connected to the Internet: 3 years from now, 30 billion devices will belong to the IoT. While today the interaction between humans and machines is mostly done by touch, the next evolutionary step of IoT will lead to the omni-presence of high-performance voice control. 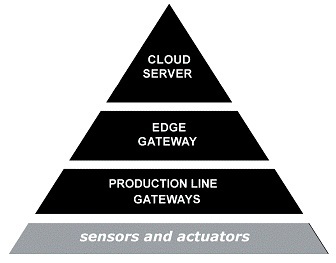 Infineon Technologies wants to further develop its capabilities to shape this market segment. Today, voice controllers, used in voice recognition systems, struggle to differentiate between speech from a person in the room, and a synthesized source such as a radio, TV; they often identify the voice of interest based on the loudest noise. Earlier in 2017 Infineon and XMOS demonstrated an enhanced solution to overcome these issues, using intelligent human-sensing microphones and gesture recognition. 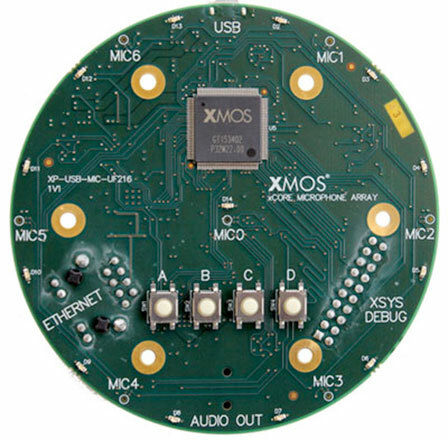 The solution featured a combination of Infineon’s radar and silicon microphone sensors to detect the position and the distance of the speaker from the microphones, with XMOS far field voice processing technology used to capture speech. Coming to your inbox tomorrow: Circuit Cellar’s Embedded Boards themed newsletter. In tomorrow’s newsletter you’ll get news about products and technology trends in the board-level embedded computer market. 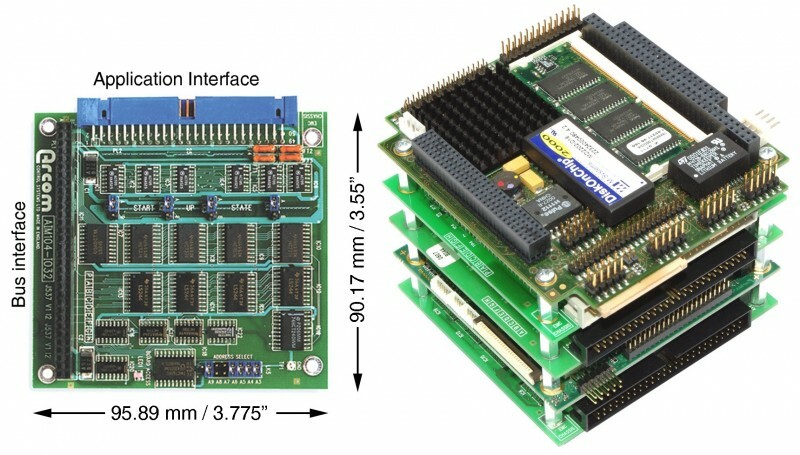 Embedded boards are a critical building block around which system developers can build all manor of intelligent systems. Bangalore, (Date): UBM India announces the Embedded Connectivity and Tech Conference ( ECTC ) slated for September 28th and 29th , 2017 in Bangalore, India. ECTC will showcase emerging trends and innovations that will set the tone for the embedded systems industry in 2017 and beyond. With over 200+ attendees and numerous speakers set to meet face-to-face, ECTC is a must attend opportunity for embedded systems professionals to accelerate industry knowledge and network with national & international peers. Embedded Connectivity and Tech Conference (ECTC) is designed over an extensive and detailed research from expert faculties and vendor market. The comprehensive tracks on each of the two days are formulated to cover ‘Engineering and Design of Hardware’, ‘Software and Systems’, ‘The Internet of Things (IoT) & Embedded Connectivity’, ‘Design tools for electronics and Embedded Systems’, ‘Safety & Security Focus’ and ‘Recent Applications in Embedded Systems’. Comprehensive insights into these trending subjects through panel discussions and hands-on workshops will help industry peers uncover solutions. The conference agenda is a mix of plenary sessions, keynotes and panel discussions and will focus on case studies, current research and cutting edge technologies. The conference will also see participation from eminent speakers such as Prof. Subramaniam Ganesan, Director, Real Time & DSP Lab, Electrical and Computer Engineering Department ,Oakland University; Robert Oshana, VP, Microcontroller Software R&D, Security and Connectivity Business Unit, NXP; Dr. BN Suresh, President, Indian National Academy of Engineering, Delhi, Hon Distinguished Professor, ISRO HQ; Ravi Subramanian, Director, Embedded Systems and Internet of Things, GRoboMac; Bhanwar Lal Bishnoi, Head – Embedded-R&D, Larsen & Toubro; Sarat Chandra Babu N, Executive Director, C-DAC, Benguluru; Vijay Natarajan, Program Manager, Artificial Intelligence Development Group, Tata Elxsi amongst many others to discuss and exchange ideas, trends, challenges and future of Embedded Systems. UBM India is India’s leading exhibition organizer that provides the industry with platforms that bring together buyers and sellers from around the world, through a portfolio of exhibitions, content led conferences & seminars. UBM India hosts over 25 large scale exhibitions and 40 conferences across the country every year; thereby enabling trade across multiple industry verticals. A UBM Asia Company, UBM India has offices across Mumbai, New Delhi, Bangalore and Chennai. UBM Asia is owned by UBM plc which is listed on the London Stock Exchange. UBM Asia is the leading exhibition organizer in Asia and the biggest commercial organizer in mainland China, India and Malaysia. CENTRI has announced compatibility of its IoTAS platform with the STMicroelectronics STM32 microcontroller family based on ARM Cortex-M processor cores. CENTRI successfully completed and demonstrated two proofs of concept on the STM32 platform to protect all application data in motion from chipset to public Cloud using CENTRI IoTAS. CENTRI Internet of Things Advanced Security (IoTAS) for secure communications was used in an application on an STM32L476RC device with connected server applications running on both Microsoft Azure and Amazon Elastic Compute Cloud (Amazon EC2) Clouds. The proofs of concept used wireless connections to showcase the real-world applicability of IoT device communications in the field and to highlight the value of IoTAS compression and encryption. IoTAS uses hardware-based ID to establish secure device authentication on the initial connection. The solution features patented single-pass data encryption and optimization to ensure maximum security while providing optimal efficiency and speed of data transmissions. The small footprint of IoTAS combined with the flexibility and compute power of the STM32 platform with seamless interoperability into the world’s most popular Cloud services provides device makers a complete, secure chip-to-Cloud IoT platform. 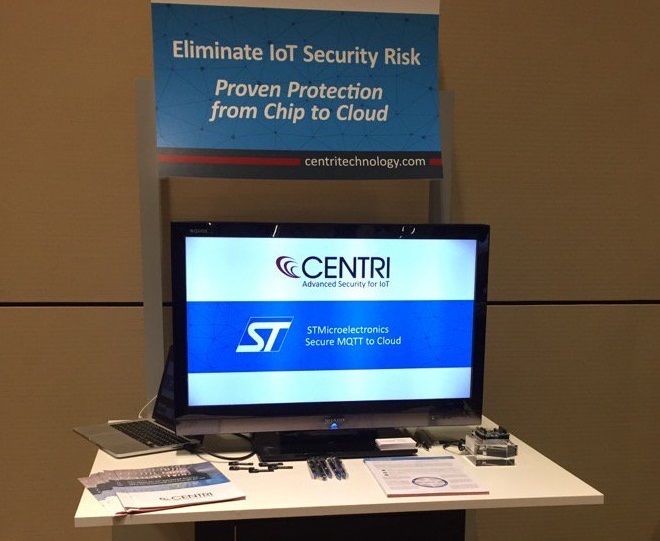 CENTRI demonstrated IoTAS capabilities at the ST Developers Conference, September 6, 2017 at the Santa Clara Convention Center. 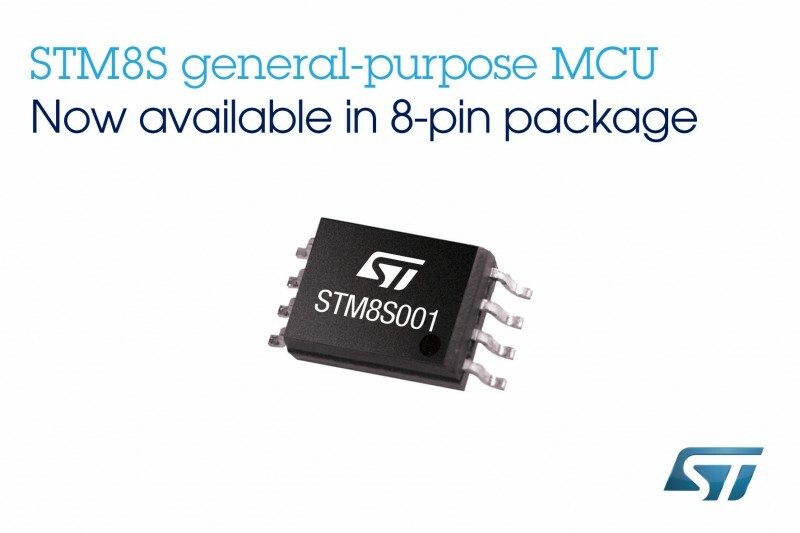 STMicroelectronics has introduced its new 8-bit STM8S001 microcontroller (MCU) in an economical SO-8 package. The STM8S001 has I2C, UART, and SPI interfaces, giving unusually versatile connectivity options. 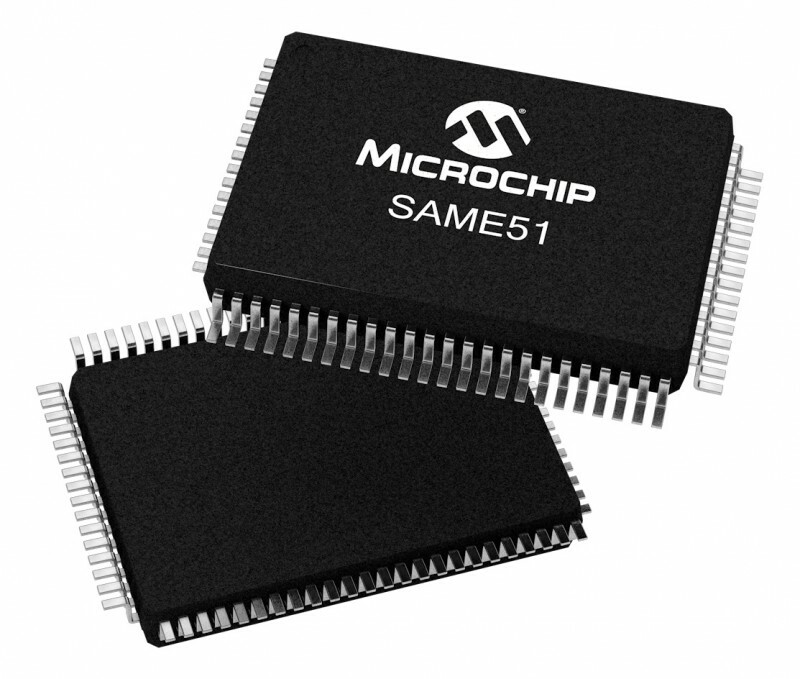 With a generous 8KB Flash memory, 1 KB RAM, 128-byte EEPROM, and 3-channel 10-bit ADC also on-chip, it delivers key features of ST’s STM8S003 MCU in a space-saving, low-pin-count device. 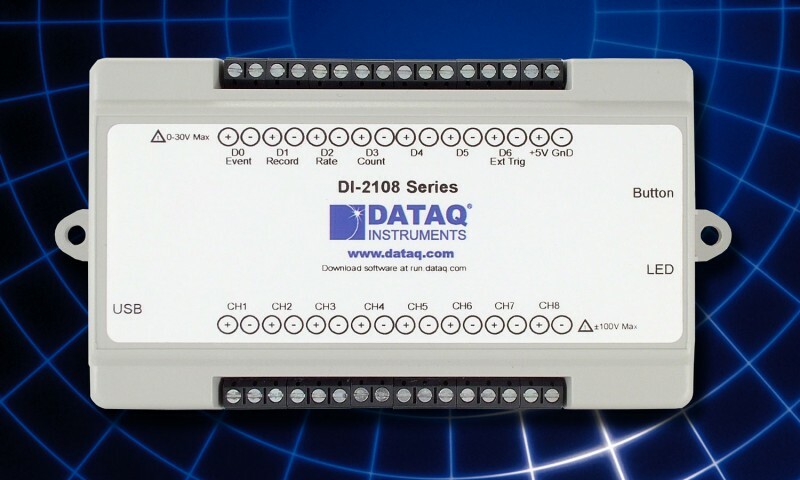 Additional features include five GPIOs, one 8-bit and two 16-bit timers, and an internal RC oscillator that allows flexible clock control from 128 kHz to 16 MHz. There is also a Single-Wire Interface Module (SWIM) for programming and debugging. Fully specified from -40°C to 125°C and featuring the modern and efficient STM8 core operating at 16 MHz, the STM8S001 is well suited for industrial devices like smart sensors and lighting controls, as well as consumer products such as toys, small appliances, personal electronics, PC peripherals, battery chargers, and many others. The STM8S001 in 8-pin SO-8 is in production now, priced from $0.20 for orders of 1,000 pieces. A Discovery kit will be available in Q4 2017. 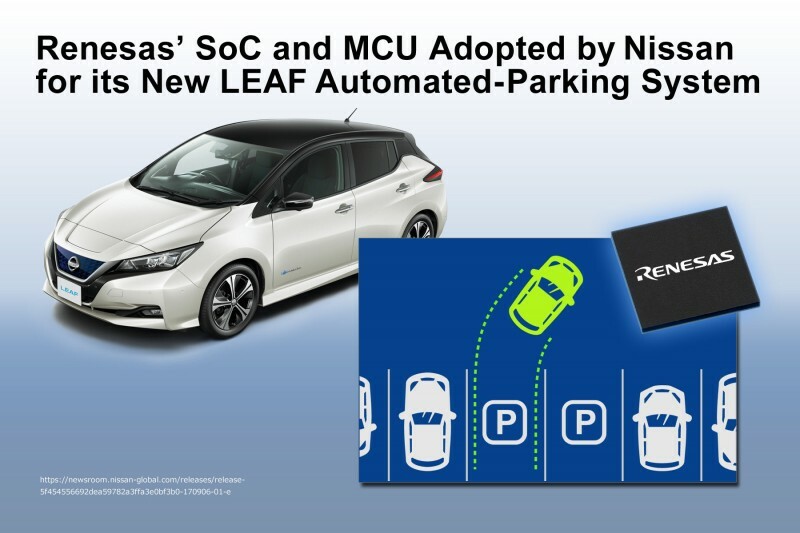 Renesas Electronics has announced that its R-Car system-on-chip (SoC) for car infotainment and advanced driving assistant systems (ADAS) as well as its RH850 automotive control microcontroller have been adopted by Nissan for the ProPILOT Park, a full-fledged automated-parking system, of its new LEAF, Nissan’s new 100 percent electric vehicle. In tomorrow’s IoT Technology Focus newsletter you’ll get news and trends about the products and technologies needed to build IoT implementations and devices. Reminder: we’ve added Drawings for Free Stuff to our weekly newsletters. Make sure you’ve subscribed to the newsletter so you can participate. You’ll get your “IoT Technology Focus” themed newsletter issue tomorrow.